Nissan Terrano is the re-badged Renault Duster as we all know and perhaps that could be the biggest reason why its selling figures are not as much impressive as those of Duster’s. 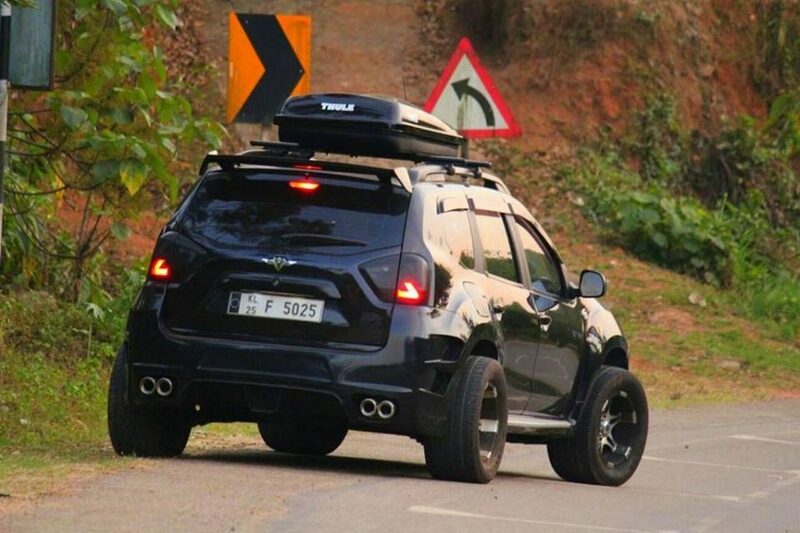 While the Duster SUV was given a facelift recently, chances of a Terrano getting an updated version is pretty much scarce. 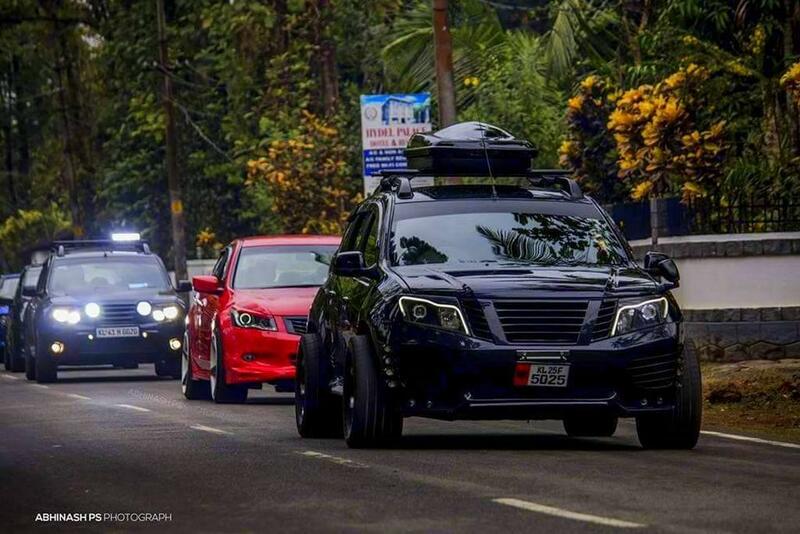 It doesn’t bother current owners however as a lavishly spending Terrano car possessor has customised to make it appear rather outlandish. 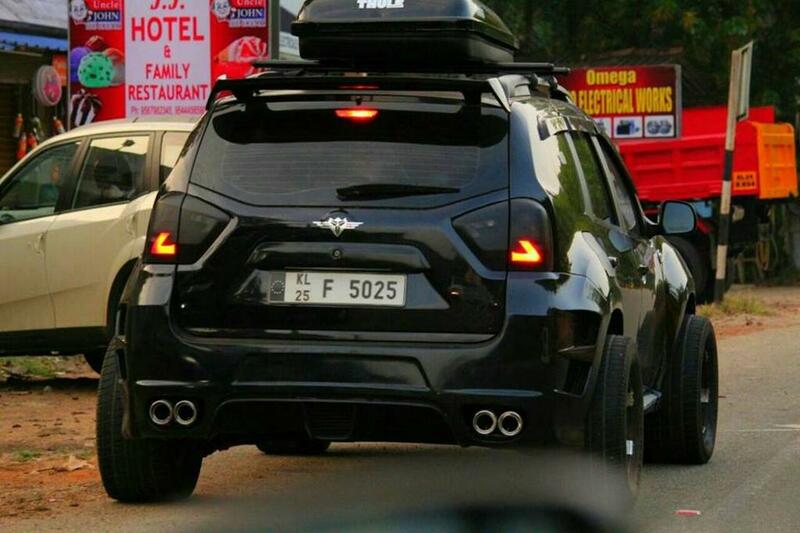 Courtesy of 360 Motoring’s Facebook page, these pictures tells us of a heavily modified Terrano dubbed as “The Bull”. Standing true to the name, it’s dark and intimidating as a bull with macho elements and a fatter set of tyres that would pretty much run over any surface being driven to. Let us swim through the only similarity between The Bull and the stock compact SUV first: It’s a standard Terrano mechanically as no power boost components have said to be installed. Therefore, the 1.5-litre K9K four-cylinder turbocharged diesel engine should be good enough to produce a power output of 108bhp and 240 Nm of peak torque. 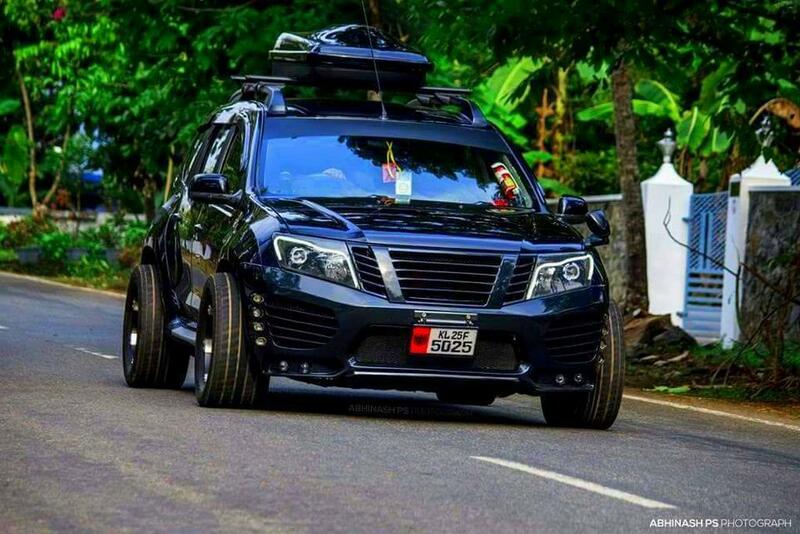 The exterior design underwent extensive modification while the imported 15-inch Mag wheels with 295/50/15 Hankook Tyres lowered the suspension for an aftermarket wider stance. 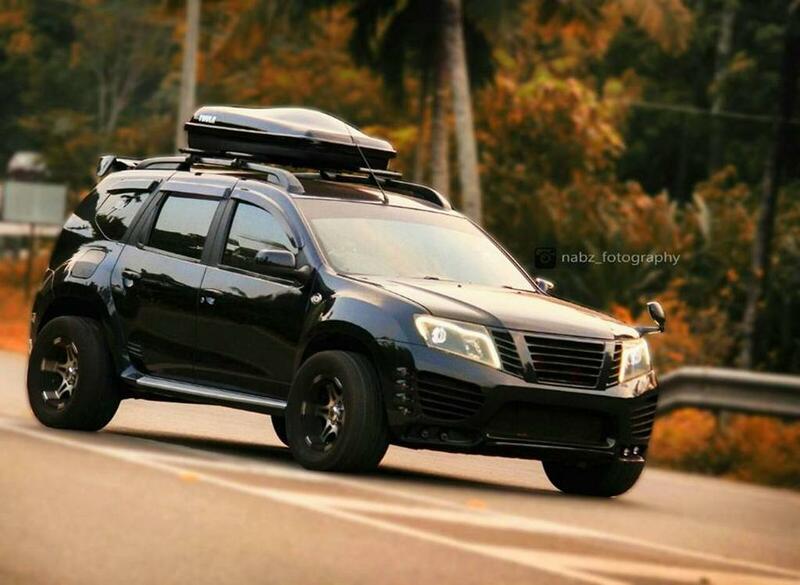 The front portion will make you wonder whether it is a Terrano or not. Such were the modifications implemented. 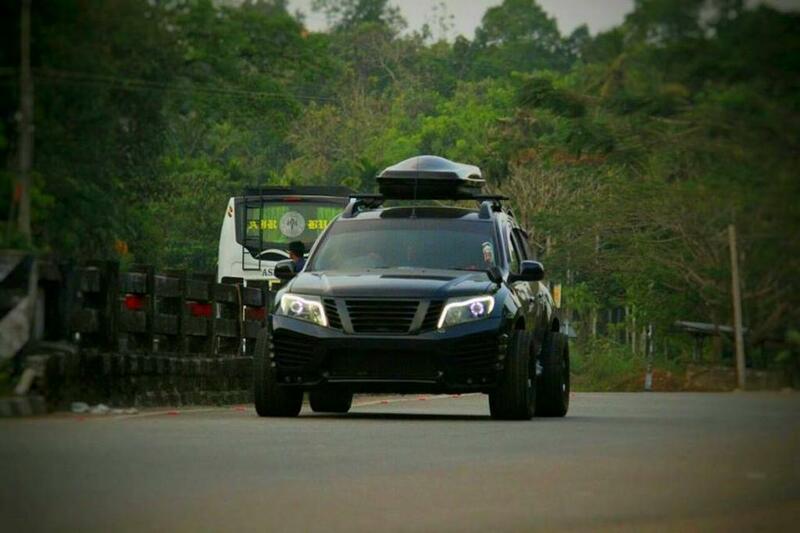 The body kit design has been sourced from Zentum and it comprises of custom-made front and rear bumpers and roof rails among others. The front bumper itself features 12 lights, if my counting is correct, and the air intakes are made wider. The chrome grille resembles that of Cadillac’s with four slats and the signature V-strip of Nissan is kept intact. The front headlamps received LED treatment as opposed to the blackened out rear lights. 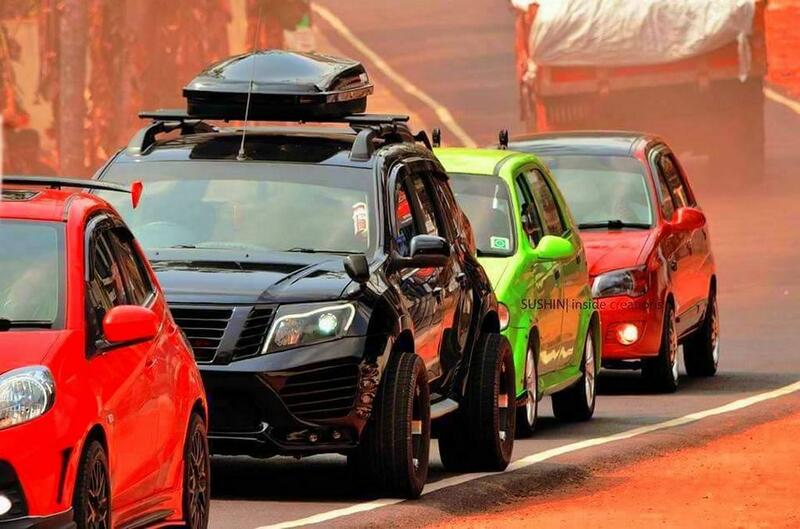 At the rear, the bumper houses quad exhaust system while the all-black spoiler is integrated atop the tailgate. The other custom-made elements are fog lamps and a contrasting interior. 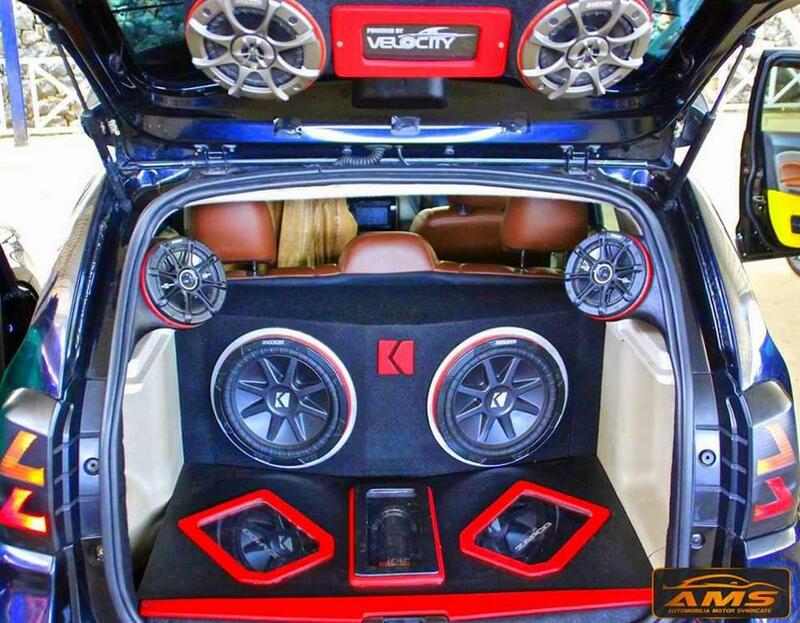 Topping off all these expensive modifications is the audio system worth more than three lakh rupees according to the tuner.